External links to the Lib. Int. The foundation of IIFOR , etc., a.o.t. joining FICEDL and AIUF . With updated Scandinavian and English notes. La finalité de l'I.F.O.R. vise à étudier tous les types de rapports humains et l'organisation sociale dans son sens large. L'accent sera plus particulièrement mis sur l'analyse des conditions économiques, politiques, sociales et culturelles considérées dans une perspective dynamique et historique. L'organisation anarchiste constitue bien évidemment un thème majeur de la recherche de cet institut. L'adresse de l'I.F.O.R. est la suivante: International institute for organization research, c/o "Folkebladet" , P.O. Box 117, Ankertorget, 0133 Oslo, Norvège. *The AI-IFA-IAF- secretariate in Oslo and the Anarkistisk Universitetslag AU - The Anarchist International University Federation AIUF. ** NAC - The Northern Anarchist Confederation. *** The international anarchist conference, i.e. gathering, in Venice September 1984, and more precise in Italian: Settembre 1984, incontro internazionale anarchico Venezia '84 e convegno di studi «Tendenze autoritarie e tensioni libertarie nelle società contemporanee», arranged by "Centro Studi Libertari" of Milano. At this conference it was also an interesting discussion between a Norwegian delegate and Murray Bookchin, now recorded in the IIFOR archives. The FICEDL is the International federation of centers for libertarian studies and documentation, "la Fédération internationale des centres d'étude et de documentation libertaires", a loose network of research centers on the libertarian matters broadly defined. At the Portugal-meeting in 1987 a spokesman for the Italian delegation declared that the FICEDL-network "is the real anarchist international" to the Norwegian delegates and the other affiliates present. Because anarchism is definitively scientifical, this is correct, but the AI is also more. 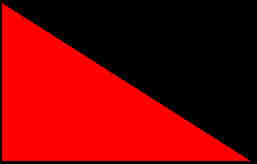 Anarchism is also about politics, and thus the Anarchist International of today is a wider organization than the FICEDL-network, including other sections as the Anarchist International University Federation, the Anarchafeminst International, green/eco-anarchists, anarcho-syndicalists, affiliations to CAN and ABC, and federations/sections for collectivist and communist/commune anarchism; social-, social-individualist and federalist anarchism, as well as individualist and mutualist anarchism, IFA-federations, etc. Several researchers have been involved in the work of IIFOR throughout the years. Some of the old folks have died, others have left for working on other fields of research. Today's staff is relatively new, with P. Johansen, who joined the institute in 1994 as Nestor and main spokesman. Johansen has contributed to give IIFOR a more macroeconomic approach. ***** Økonomisk-Politisk Seminar ØPS/Economical-Political Seminar EPS. - IIFOR is also the coordinating center of the Northern Anarchist Confederation's studies and documentation on anarchism. The main archive of the NAC/IFA/AI and correspondence to other organizations, institutions and individuals, is coordinated by IIFOR. Other material is located at Arbeiderbevegelsens arkiv og bibliotek i Oslo, and at institutions at the link-page of ARBARKIV, among them the IISG/IISH in Amsterdam may be mentioned. These documents are free available to the general public. IIFOR will also be helpful with copies of other documents, to people interested in anarchism, available to production and distribution costs. To reach Arbeiderbevegelsens arkiv og bibliotek, click here: ARBARKIV . Also other branches of the FICEDL-network broadly defined, have NAC/IFA/AI material. IIFOR is also co-operating with the Norwegian Central Bureau of Statistics, Statistisk Sentralbyrå - SSB; there is a dialog on theoretical matters and SSB contributes with statistical material to IIFOR. To reach Statistisk Sentralbyrå, click here: BYRÅET . In Norway the words "organization", "federation" and "confederation" traditionally are used quite synonymous. As an example LO, Landsorganisasjonen, directly translated to English/American, "The Country Organization", calls itself "Labors' Organization" and the Norwegian Confederation of Trade Unions, while ARBARKIV has called it the Norwegian Federation of Trade Unions. It is quite similar with the Northern Anarchist Confederation, calling itself also "Northern Anarchist Federation" and Anarkistenes Organisasjon i Norden, etc. North, Northern and Nordic are also used quite synonymously. AIIS has sometimes called LO the "National Confederation of the Workers", which is also a translation compatible with the tradition. Furthermore the words "anarchist", "anarchists", "anarchy" and "anarchism" on the one hand, and "libertarian" on the other, are used synonymously. The word libertarian in English/American is mainly seen as a translation of the French word "libertaire" meaning anarchist. The term "libertarian" in English/American may however be interpreted as a somewhat wider concept than anarchist, anarchy and anarchism, also including semilibertarian marxism to the left and semilibertarian liberalism to the right on the economical-political map, and the libertarian degree as 100% - the authoritarian degree, the relative distance from the top of the economical political map. The so called libertarian economics related to the Austrian, Chicago and Neoclassical Schools, making Ludwig Edler von Mises, Friedrich von Hayek, Milton Fridman and Murray N. Rothbard its gurus, is mainly semilibertarian liberalism, rightist, and not libertarian i.e. anarchist, economics. Libertarian = anarchist economics are typically found in the middle of the economical political map and upwards, not rightist or leftist. Gurus of the semilibertarian left are Daniel Cohn Bendit, Murray Bookchin, especially in his later works, and Anton Pannekoek. Neither of these gurus to the right and left on the economical political map are anarchists. They are semilibertarian liberalists vs marxists. It must also be mentioned that Von Mises of the Austrian school has based his praxeology on a more or less false assumption:"Praxeology: A general theory of successful action which shows what can be deducted from the self-evident axiom that human beings act purposively. Von Mises used praxeology as the basis for explaining markets." Quoted from Donald Rutherford's Dictionary of Economics, Routledge 1992. That this "axiom" is not self evident in general, is easy to prove just by mentioning persons that are in psychosis, and people in coma. The Anarchist International and IIFOR use the word praxeology, human action research , with a definition not based on Von Mises "self evident axiom", but based on the hypothetical deductive method, the method of natural sciences, according with Kropotkin's view on the matter. This is opposed to the purely logic deductive approach of Von Mises, i.e. pseudo-science. The term "libertarian" may also be used about 1. one who holds to free will, 2. one who maintains the principles of liberty, particulary in thought and conduct, 3. one who advocates full civil liberties for the individual, 4. An adherent of libertarianism, i.e. in short, the public sector is subordinate to the individual: Anarchism = real democracy = Libertarian.